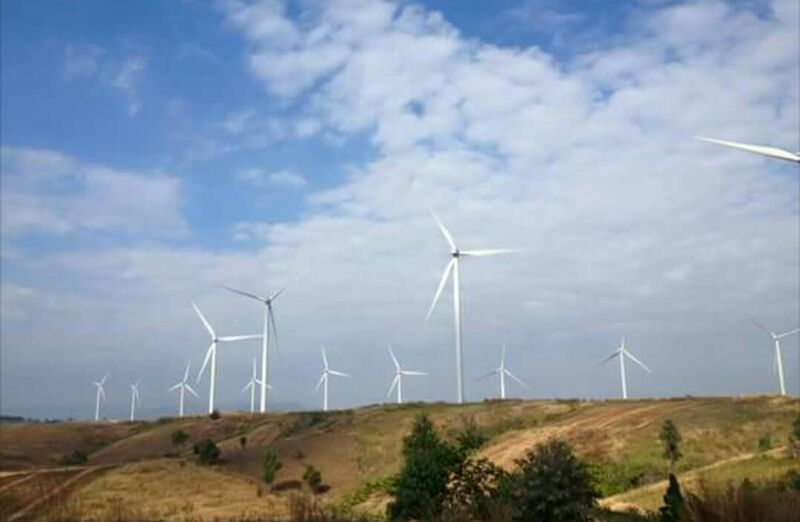 The Energy Regulatory Commission (ERC) will soon issue wind farm licences to 11 companies after the Agricultural Land Reform Office (ALRO) this week ruled that 17 wind farm projects located on Sor Por Kor government land in the Northeast were legal, would benefit local farmers and could continue as planned. ERC member Weerapol Jirapraditkul said on Thursday the ERC was waiting for a confirmation letter from the ALRO about the projects’ legal status before proceeding with issuing the licences. He said the agency had halted issuing the licences pending clarity from the ALRO. Thai Wind Energy Association vice president Sumet Suthapacti, who is also Federation of Thai Industries vice president, said wind farm operators now had more confidence in public policy for electricity generation following the ALRO ruling. “This will enable the wind farm industry in Thailand to further progress and develop,” he said. The projects under 11 companies, which are in the process of applying for the projects’ operating licences, are worth Bt72 billion in total. When combined with the 17 projects under 16 companies that have been cleared of ambiguity over the use of Sor Por Kor land, these projects will result in at least Bt100 billion being injected into the local economy, with local farmers also set to benefit, Sumet added. He said the private sector was now confident the public sector would achieve its target of buying 3,000 megawatts of electricity per year from wind farms by 2036 as per the Energy Efficiency Development Plan (2015-2036). Currently, the figure is 1,800MW. Agriculture and Cooperatives Minister General Chatchai Sarikulya said that after the Supreme Administrative Court’s ruling to stop Thepsathit Wind Farm Co Ltd’s project in Chaiyaphum province, which affected the status of the 17 wind farm projects, the ALRO assigned a fact-finding committee to probe the issue and deliver a finding within 45 days for the sake of clarity. The probe result concluded that the ALRO has the legal authority to let the private sector use Sor Por Kor land, while the 17 projects had applied for permission as per the associated laws and regulations and they did not breach the lease contracts which require them to pay Bt35,000 per year per rai to the ALRO and pay compensation to farmers as well as implement local development measures, Chatchai said. 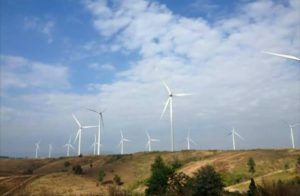 The committee resolved that the Supreme Administrative Court’s ruling on Thepsathit Wind Farm Co was in effect as inter partes and as a result other wind farm projects will not be affected, according to ALRO chief Sompong Inthong.